Really some of you guys are still hanging on this "NFL doesn't know what a catch is", sounds like you didn't watch a single NFL game this year. There is the saying "can't see the forest for the trees." You should look it up and think about it. Think it about it before every post you make. I think the best way to put it is that this is the highest level of the sport. Players, people, fans dedicate years of their lives and plenty of their money to this sport. They all deserve better. Thing is, this type of referee mistake is 1) entirely preventable, and 2) well beneath a minimum standard than an NFL fan should expect. People saying "just get over it" are the same people who, if something like this happened to them in their personal life, would literally be talking about this until the day they die. Honesty and transparency go a long way in life. The NFL leadership should try it some time. As far as my suggestion. You get 2 challenges in the full game for penalties . You can either use it to dispute a call that was made or a call that was missed . apply that to this game , The Rams get the ball first and goal after the facemask that was missed against goff. The Saints get the badly missed call reversed . It isn't ideal. Its more stoppages . CN has a point about it basically allowing a coach to throw a flag , but if the flag was badly missed , let him throw it. You only get 2. That seems like a drop in the bucket since im always hearing "You can throw a flag on every play"
The forest would be the poor officiating in the NFL, the tree would be some non-existent issue about "we still don't know what a catch is"
Try not referencing things that are no longer an issue if you want to make a point that has merit. BTW, I am not saying "get over it, bad manure happens", I'm simply saying get over things that are no longer an issue, like the people who kept harping on players kneeling during the anthem when it wasn't happening anymore, or at least wasn't covered on games we see on TV. The fact that it took until 2018 for the NFL to figure out what a catch is, is a very valid point to the discussion. You didnt think very well before you posted again. Think harder next time. if they start reviewing judgement calls that just might do it...I can understand reviewing helmet to helmet....that's a safety issue.....but not PI....whats next? they are gonna review holding calls? "you can call holding on just about every play in the NFL"...you know that old line....oh you just gave up a big play? why not challenge it and hope someone can negate it with a holding call if they feel like it? A. The odds are more than "heavily" in their favor. The Saints would have been able to run the clock out and then basically have an extra point for the win. Diminishing that is just making excuses. But honestly, that is not the point. The point is that bad of a missed call should never have happened in the first place, on ANY level of football, let alone the highest level in one of the biggest games. Even under the standard of "letting them play" multiple refs missing multiple fouls, one even dealing with player safety, is completely inexcusable. B. Yes, the Saints botched their opportunities after and the Rams didn't. As I've said before, the Rams did what they needed to win and I'm not taking anything away from that. That still doesn't change the fact that it never should have happened. C. Both teams had fortunate calls and non-calls throughout the game. That's fair as long as it's called evenly and both teams are allowed to play within those rules. That play went well beyond that framework. 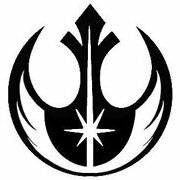 People keep pointing back to the facemask on Goff. Ok, so what about the illegal hit on Brees when he threw the final interception? Where's his flag? The one called for Brady wasn't nearly as bad. 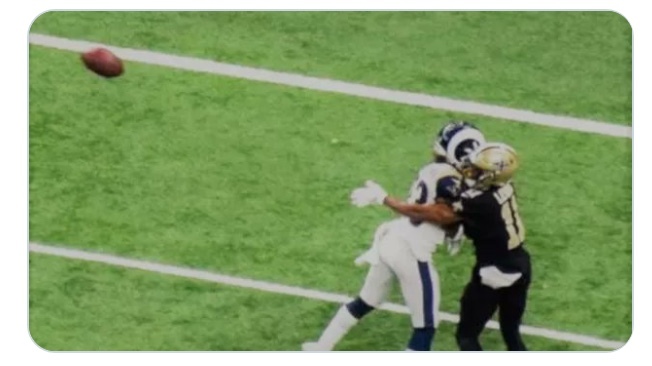 But you don't hear Saints fans complaining about that no-call because they know there's a difference between "letting them play" and what happened with the no-call PI. Payton at least has a sense of humor about it. NOLA media reporting that none of them were allowed to ask questions during the league address today. Only Jeff Duncan with ESPN, who has a deep seeded hatred for Payton, was allowed to open a scripted question and no follow ups allowed. He also lied about contacting the players. This is such (the really bad word)ing bullmanure. If that was your point it wasn't expressed well, try harder in the future. Shefter had a great suggestion today that eliminates the argument that coaches will start challenging everything under the sun.. if the call or non call stands, instead of losing a timeout the team challenging the call loses 15 yards. Thank God. Can we move on Saints fans? "A pair of NFL season ticket holders who wanted to see a full or partial rematch between the New Orleans Saints and the Los Angeles Rams were out of luck Thursday after a federal judge said she wouldn’t force the league to implement a rule that could’ve led to a do-over." What does that lawsuit have to do with anything? Nobody in their right mind ever thought it would come to anything, certainly not the case majority of Saints fans. If you want to move on then move on. I think the fans deserve better. If the Rams win this game, there will be an asterisk next to their championship. It will be the equivalent to MLB stars with PED accusations; the accomplishment will be tarnished. Honestly, they have to make it so the Patriots win. See, I don't even agree with that. That Rams won with what was given them. It's not their fault the mistake was made. If the beat the Patriots then they deserve their championship. What the Saints and the fans deserve is accountability from the league and they are doing anything but. 10 days before the commissioner says a word and only does so because he had no choice. So, instead of doing the right thing and apologizing to the Saints and their fans he sets up a sham press conference blatantly lies about speaking with people in the organization and gives vague answers to softball questions.